3 Elements Yagi optimized for 2m 146Mhz. The design is very similar to 3 Elements Yagi for 145Mhz for the boom and elements spacing. The only difference is on the cutting of the elements. Check the design for 145Mhz Yagi here. Like most of my design this is an end mount type yagi which is more efficient than a mid mount type yagi as the mounting will not introduce a pattern distortion. Building construction technique is also the same except for elements cutting. You may check the how to video of building the 3 Elements Yagi on my youtube channel. To check the antenna pattern and expected gain if the antenna will perform similarly on other bands these are the results with both slight increased in SWR and little decreased in gain on 144Mhz and 148Mhz respectively but the expected pattern are generally the same. I’m using 4NEC2 for antenna simulation and analysis. For SWR curve this antenna exhibits a pretty wide band performance on 4NEC2 simulation. See the performance testing video here on my youtube channel. As you can see in this video the yagi antenna is performing well on a mountainous terrain with lush vegetation. 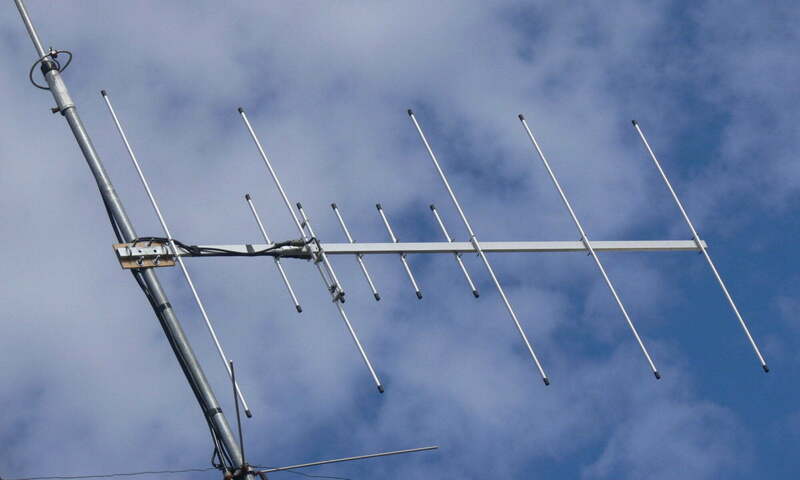 Antenna matching for this yagi is by Gamma Match which is similar to the one I used on my previous build for 3 Elements Yagi Gamma Match or 4 Elements Yagi Gamma Match. Use whatever you like.